Shortly after Google announced that Android apps and the Google Play Store would make their way to Chromebooks, I talked about the importance of this move, even calling it the end for tablets. Tablets are all but dead on Android, yet Chromebooks seem to be getting more popular by the day, especially now that they have touchscreens and can essentially act like a tablet. The problem, though, since that launch, has the been the fact that most apps just aren’t really fine-tuned to work on Chromebooks. Today, that changes a bit as Adobe has announced that it will release a suite of their Android apps that have been specifically optimized for Google’s Chrome OS. Over the coming weeks, Adobe plans to released optimized versions of Photoshop Mix, Lightroom Mobile, Illustrator Draw, Photoshop Sketch, Adobe Comp CC, and Creative Cloud Mobile. These apps will be available for free to all Chromebooks that support the Play Store and Android apps. 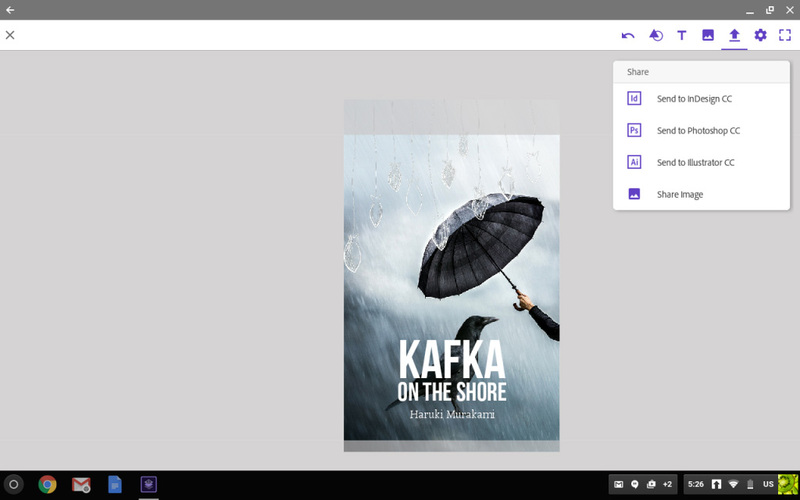 This is a pretty big move for students and creators, because they can now access their work or edit and add to it through optimized apps on Chromebooks. Up until this point, many of these apps worked on Chromebooks, but the experience wasn’t exactly optimal or even enticing. Will it lead to additional companies doing similar things to their apps? One can hope if we ever want to see Chromebooks and Android apps fully realize the future I talked about months ago.